Updated: Amazon (s amzn) has removed WikiLeaks’ website and related files from its servers, a move that appears to be a result of pressure from the U.S. government to not support the document-leaking organization. According to several news reports, Senator Joseph Lieberman (I-Conn.) — the chairman of the Homeland Security and Governmental Affairs committee — asked the web company to remove its support for WikiLeaks, which moved some or all of its website and related files to Amazon’s EC2 cloud computing service after it suffered a “distributed denial of service” attack by unknown parties. It’s not clear whether Senator Lieberman’s remarks were solely responsible for Amazon’s decision (the company did not respond to a request for comment), but the senator said in a statement the company had informed his staff Wednesday morning it was no longer hosting the website, and that he wished Amazon “had taken this action earlier.” The senator added that the release of classified diplomatic cables was illegal and outrageous, and the move had “compromised our national security and put lives at risk around the world.” Lieberman said he was going to ask Amazon about “the extent of its relationship with WikiLeaks,” and what the company planned to do in the future to prevent being used in a similar way to host illegal material. It’s worth noting that the U.S. State Department reached out to Twitter during the Iran protests last year, and asked the micro-blogging network to postpone some work that would have taken the network down, since it was such an important way of getting information out about the military action in that country. But when it comes to information about political matters involving the U.S. itself, the government seems more than happy to do whatever it takes to take certain things offline. There have been reports that a government inquiry prompted us not to serve WikiLeaks any longer. That is inaccurate. There have also been reports that it was prompted by massive DDOS attacks. That too is inaccurate. There were indeed large-scale DDOS attacks, but they were successfully defended against. It’s clear that WikiLeaks doesn’t own or otherwise control all the rights to this classified content. Further, it is not credible that the extraordinary volume of 250,000 classified documents that WikiLeaks is publishing could have been carefully redacted in such a way as to ensure that they weren’t putting innocent people in jeopardy. 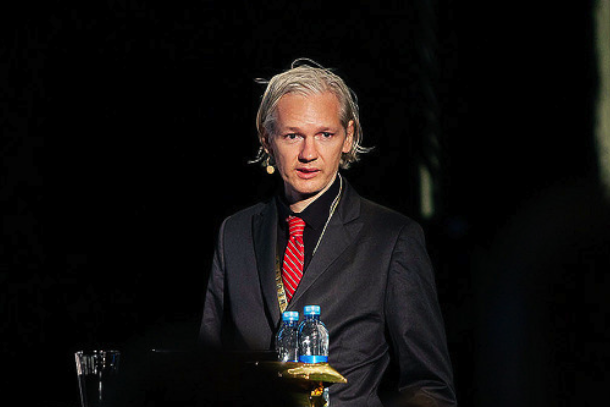 Human rights organizations have in fact written to WikiLeaks asking them to exercise caution and not release the names or identities of human rights defenders who might be persecuted by their governments. Sorry. I couldn’t agree less. I used to be a big supporter of Wikileaks, but I’m afraid that I now find Mr. Assange to be a paranoid (rightfully so, possibly) primadonna (not so rightful), and his approach to have been entirely ham-fisted and amateurish. Had Wikileaks taken the time to discover the cables that revealed government malfeasance instead of hastily just posting the whole batch, I would have been in their corner. But by posting everything, they are in the same corner as Dharun Ravi and Molly Wei. In seeking to cause embarassment, they have only inflicted damage to the work of good people trying to accomplish good things. Diplomatic cables require candor, but candor is best kept discreet. Other than supplying the equivalent of tabloid fodder, Wikileaks has done no good in this case. And as for Amazon, they operate under the rule of law. And the rule of law says (or rather should say, if it doesn’t) that the indiscriminate revelation of classified information is against the law. Lol and they try to be a serious cloud provider? This will kill the cloud faster than they can speak the Word Wikileaks. Maybe the 21.12.2012 is kinda end of world in way that ppl will revolt after wikileaks will publish some realy ultimate lie governments are feeding us with :-) Go go wikileaks..
Wikileaks does not care what they release. They do not care if it kills people. Example who cares what say hillary clinton thinks of other countries prime ministers the only thing tht does is put countries against each other. Yet wikileaks released it anyway. Also amazon has to do business in the US . So it has to play by the rules of the US. Why Amazon will support wikileaks. They taken right decision and done good work after removing related things. Go Wilileaks! Expose the hypocrisy and corruption in the useless and lying politicians. Get rid of these people and sh** on Amazon for their weakness in kowtowing to them. Joe Lieberman, the ultimate douche. I’m not aware of anyone who likes this dumbass. Let’s not ignore the possibility of the government coming after Amazon for hosting the content. Might not the message have been “take it down, or else”? Wikileaks should have known better than to do anything within U.S. jurisdiction, where there was guaranteed to be some action taken. This is an interesting question as the servers and storage may not actually be in US territory. This implies that a cloud service is bound by the laws of the country in which it incorporates in. That depends on who’s trying to establish what. There’s precedent, for example, finding that the law of where the servers are located is what governs. But with the servers being here and the company being headquartered here, there was no question the government could push on Amazon. The majority of Americans seem to support having their children groped by convicted rapists, as long as the TSA says it’s okay. What more do you expect of them? Yeah Amazon for not supporting theft! Who is the man in the picture up top? And where are government transparency now huh… That’s as far as transparency and freedom of speech goes I guess. Interesting what kind of public opinion is in US about WikiLeaks now and what fraction of US citizens supports WikiLeaks. I think I’ll stop spending my money at amazon. Shame on you Amazon for censoring the truth. Apparently you’re no better than the U.S. Government. I will be boycotting your site from here on.